The disastrous fires in Russia will soon be over—and then what? I was amazed to hear that the fires had started. I spent six years in Russia, in Moscow winters and summers. Nothing like this has happened before in Russia. What lasting effect these fires will have is open discussion now. Fingers are pointing9, but will they return to counting money soon? This crisis has presented Prime Minister Putin with a great opportunity to show himself a hero on TV, at the controls (really?) of a BE200 dropping water on the fires, and to pose as master of the situation, and he has done just that. That’s despite Putin himself bearing the brunt of responsibility for Russia’s lack of preparedness for the fires, according to a scathing article in the Moscow business newspaper Vedemosti. It points out that Putin abolished the state forestry service three years ago and scaled back state funding for fire prevention measures. 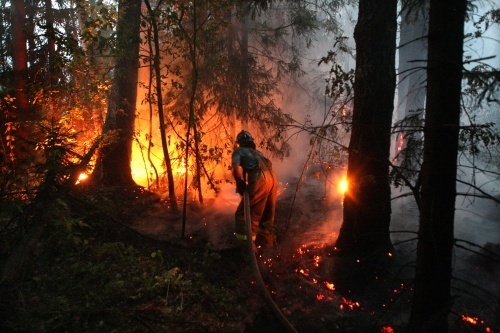 According to the paper, Russia currently spends about 4 cents per hectare of forest lands on fire-fighting services, compared with about $4 in the United States. The impact of this disaster will be, I think, another weight on the scale of change inching forward in that country of a thousand years of autocratic rule where all change was determined from the top down. The demand for regional elections to choose regional leaders is growing. Putin eliminated regional leadership choice and moved it to the Kremlin. Now the regions want it back. Local control to create local solutions to unforeseen disasters such as the wildfires is one of the reasons argued in favor of this move. The fire of change has already begun. It will take time.